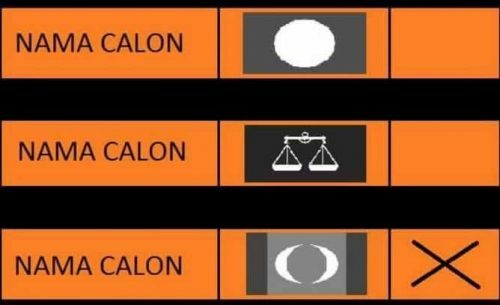 Bidang kuasa Mahkamah Syariah adalah sebagaimana yang diperuntukkan oleh Perlembagaan Malaysia. 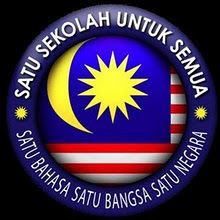 Pindaan Perkara 121 (1A) Perlembagaan Persekutuan pada 1988 memberi Mahkamah Syariah bidang kuasa berasingan daripada mahkamah sivil, menjadikan Mahkamah Syariah bebas daripada campur tangan mahkamah biasa dan dianggap setaraf. Kuasa Mahkamah Syariah adalah di bawah enakman negeri. The interfaith custody trials is in hot season, I think it is good that it has now come out in the open. Let the matter be settled through to its end at the Federal Court where questions of which Courts holds precedence or not would be settled. In the meantime the IGP's calm and measured 'middle path" decision is commended. The DAP and their political cohorts can bugger off, you people are only interested to stir the hornet's nest and not interested to resolve the problem. Accept the reality that the Perlembagaan allows for Syariah and Civil Court to exist side by side and one cannot take precedent over the other. There are many things that need to be resolved from the aftermath of this interfaith custody imbroglio, one that I note is that under aged children are easily converted unilaterally without question by Islamic Authorities. I think there must be a common rule that any underage children who applies to be converted can do so but with the presence of both their consenting father and mother. If one of the parents refuse consent to the conversion then the Islamic authorithies will not and cannot proceed with the conversion. KUALA LUMPUR, June 11: Despite being attacked by leaders from both political divide over the ‘middle path’ decision, Tan Sri Khalid Abu Bakar said that the police are maintaining their stand and will not enforce Civil Court decisions in child custody cases where one of the parents had embraced Islam. This is because the police had no other option as it was “sandwiched” between two legal systems, the Inspector-General of Police said. Khalid, when asked if the police was in contempt of court for not carrying out the orders, said he was not worried about what others said. “I have made a stand and the police will stand by it. I can’t do anything if there are people out there lambasting the police,” he said. It was reported that Khalid had adopted a middle path stance and suggested that children involved in custody battles between Muslim and non-Muslim parents be placed in welfare homes. “This way, the parents need not fight over the custody of their children and can visit them at the homes if they want to,” he was reported as saying. Khalid was referring to the case of Muslim convert Izwan Abdullah against his ex-wife S. Deepa in Negri Sembilan, and kindergarten teacher M. Indira Gandhi against her former husband Mohd Ridzuan Abdullah in Perak. In both cases, the men had converted themselves and their children without the knowledge of their wives, resulting in the women claiming custody of their children, reported The Star Online. The High Court had granted Indira full custody of her three children, but the Syariah High Court also awarded Mohd Ridzuan custody of the trio. In Deepa and Izwan’s case, both the Syariah and civil courts have granted them custody of their children. Frustrated with Khalid’s decision, various political leaders have been criticising the middle path decision. Youth and Sports Minister Khairy Jamaluddin called on Khalid to uphold the law in the child custody disputes. “As far as I am concerned as BN Youth chief, enforcement agencies must uphold the law, especially when it is clear,” Khairy said during a press conference today. While, MCA Youth secretary general Leong Kim Soon said that the civil court’s rulings in custody disputes must be implemented. “It is ridiculous for the Inspector-General of Police Tan Sri Khalid Abu Bakar to refuse to execute the Seremban High Court’s recovery order that the police assist in recovering the son of S. Deepa or the Ipoh High Court’s committal order against the ex-husband of Indira Gandhi for persisting to refuse to surrender the daughter. Kulai MP Teo Nie Ching said that Khalid should be cited for contempt of court for not obeying a court’s order by taking the middle ground in dealing with child custody cases. “It is shocking for the IGP to openly say that they will not enforce the decisions of the two courts but will place the children in childcare centres. “The statement of the IGP is making our judiciary system a mockery,” she stressed adding that the decisions of the court was very clear in these cases.